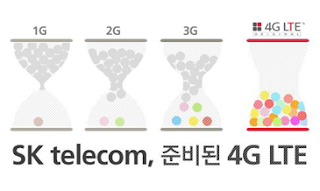 In its quarterly financial report, SK Telecom announced plans to commercialize LTE-Advanced service during September 2013. The Korean operator said it has already conducted field testing under real network environment using smartphones. An upgrade of its existing LTE network to LTE-Advanced is currently underway. 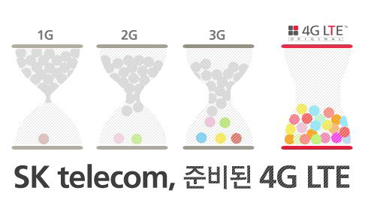 As of 31-March-2013, SK Telecom had 9.33 million LTE subscribers. The carrier surpassed the 10 million LTE subscriber mark for the fourth time in the world on April 21. The number of LTE subscribers is projected to reach 15 million by the end of 2013. Financially, SK Telecom reported Q1 revenue of KRW 4.113 trillion, operating income of KRW 410.6 billion and net income of KRW 345.9 billion. The revenue decreased by 2.0% quarter-on-quarter (QoQ) due to the impact of shorter business days and business suspension in February. However, on a year-on-year (YoY) basis, the revenue increased by 3.6% backed by strong growth of LTE subscribers and new businesses. Residents of the suburb of Blacktown will be the first in the Sydney metropolitan area to switch on to Australia's National Broadband Network. NBN Co's fiber network has just passed the first 1,300 homes and businesses in Blacktown. A further 9,300 premises will be passed shortly. Construction of the NBN set to have commenced or be complete for around 1.4 million premises across NSW and 4.85 million nationally by mid-2016. The nationwide rollout is due to be completed by 2021. NBN Co also sad that in areas where its fibre network has been up and running for more than 12 months, around a third of eligible families have already purchased an NBN package. Huawei announced the development of a photonic integrated device (PID) that leverages advanced modulation and digital signal processing (DSP) technology to support 40 Gbps, 100 Gbps, 400 Gbps and higher transmission rates. Huawei said its device can achieve distances of up to 80 km without the need for a complex design at the photonic layer or auxiliary units such as optical amplifiers and dispersion compensation modules (DCMs). The device supports multi-service native transport and is implemented on a single 2 cm2 chip. 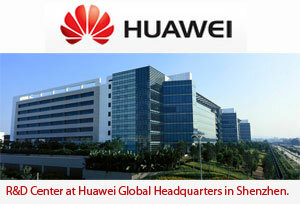 Huawei will used this new-generation PID chip for a smart line card for its Hybrid MSTP products. The smart line card supports the native and unified transport of different types of services (including Ethernet, ATM, and TDM) over one port, as well as smooth evolution among these services, effectively protecting operators' infrastructure investment. "The surge in data traffic has created a growing demand for bandwidth on metro networks. With support for multi-service transport and smooth network evolution, Huawei's new-generation PID solution helps operators build future-ready networks, while preserving the profits of traditional voice services," said Jack Wang, President of the Huawei Transport Network Product Line. Ericsson has sold its power cable operation to NKT Cables, one of the largest power cable manufacturers in Europe, for about SEK 250 million (US$38.4 million). The business unit is a leading supplier of medium voltage products to the Nordic utility groups. It is an important supplier of low voltage products to the wholesalers and installers in Sweden. The net sales for the power cable operation in 2012 was approximately SEK 1.5 billion. Ericsson said this transaction will generate a net loss of approximately SEK -100 million, however NKT Cables will take over a factory in Falun, Sweden. China Mobile Guangxi Branch is testing Ericsson's City Site radio solution in its commercial GSM network on a trial basis in Nanning, Guangxi. Ericsson's City Site, which has been deployed with the standard RBS6601 base station, has an integrated Omni Antenna covering a small area. 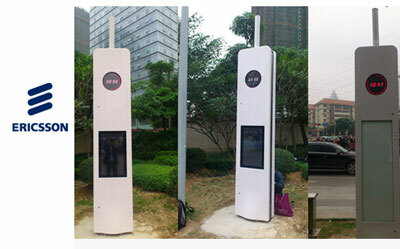 In addition, the City Site has also been equipped with functions such as electronic advertising, clock and public information inquires with touch-screen technology. Ericsson said its City Site design has fewer limitations for site selection compared with standard radio base station, as it can be deployed in crowded areas, and is suitable for a variety of places, such as railway stations, business districts, schools, parks, squares, and main avenues.